After being good all week it’s nice to have an occasional blow out Sunday breakfast. 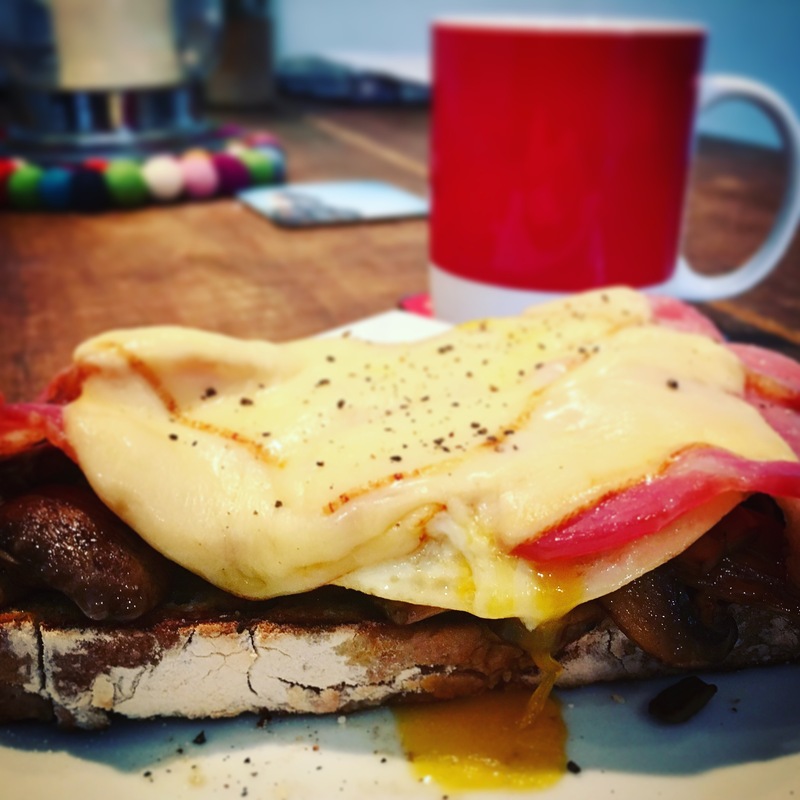 Here I’ve stacked up my home made sourdough with the works, egg, bacon, mushrooms and cheese to give a satisfying breakfast so you won’t need lunch. 1. Slice mushrooms and chives. 2. Boil some water in a saucepan ready for the egg, heat some oil in a frying pan for mushrooms. 3. Put bacon under the grill, add mushrooms to the frying pan and sprinkle with Paprika, salt and pepper. 4. When bacon and mushrooms look almost ready toast the bread then butter it. 5. Add a couple of drops of vinegar to the boiling water. Crack the egg into a ramekin. Get a whisk and whisk the water so there is a deep swirling well in the middle, with the other hand drop the egg right into the centre of the well. Poach the egg for 1 minute, remove with a slotted spoon and drain excess water off. 6. 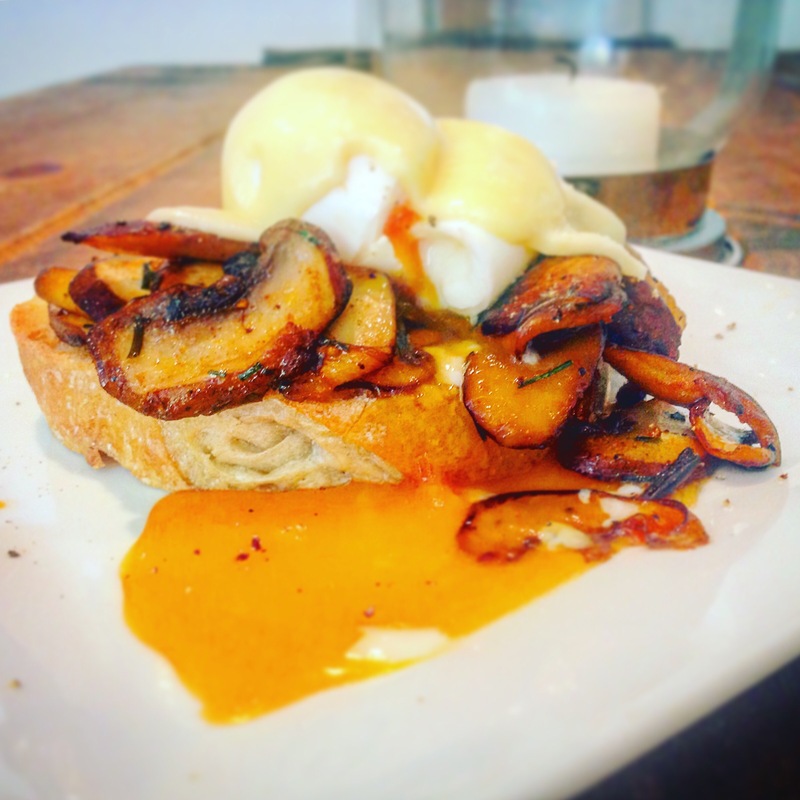 Stack the mushrooms on the toast, then the egg then drape over the bacon then a slice of emmental. 7. Quickly pop under a grill to melt the cheese. 8. Plate up sprinkle with chopped chives and some black pepper and serve.